If Missouri Representative Bart Korman were a betting man, he’d say that neighboring Kansas will beat Missouri to the sports-betting punch. Why? Because Missouri’s state legislature is currently handcuffed by a governor battling felony charges and because, in Korman’s view, Kansas needs the money more than Missouri does. 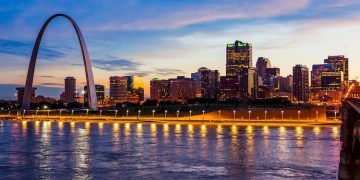 Like the nearly 20 states around the nation that have been considering making sports betting legal, Missouri is looking for additional revenue streams. And state lawmakers have been aggressively trying to get a sports betting bill to the floor of either the House or the Senate. During the current session, which ends on May 18, six bills related to sports betting have been introduced, and Korman’s HB 2320 in the House, along with Senator Denny Hoskins’ SB 767 in the Senate, appear to be the two with the most legs. 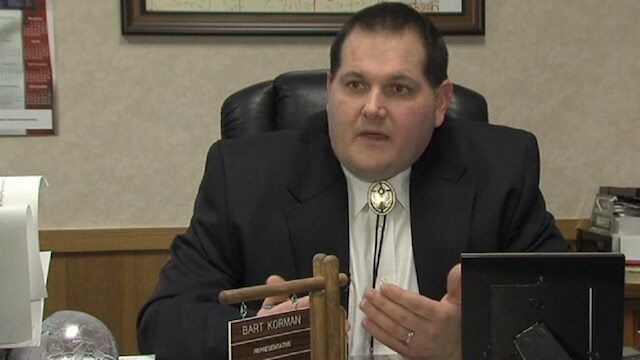 Korman’s bill is currently awaiting a calendar date, while Hoskins’ bill is awaiting a third reading — needed before the full Senate can vote on the bill. Korman, and legislative staffers, believe that neither bill will get to vote during this session. Rather, that 2018 will be the year that legislators learn, discuss and ultimately come to a consensus on what sports betting in Missouri should look like. Simply put, all the talk this session is laying the groundwork for speedy passage of a bill in 2019. If things go the way Korman hopes they will, sports betting in Missouri will be made legal at casinos, through the lottery, and through daily fantasy sites, all of which are currently operating in the state. A good law, in his view, likely wouldn’t include the “betting right and integrity fee” that the pro leagues are seeking. Rather, the law would keep money that is already being bet in the state of Missouri. The key driver behind legalizing sports betting in Missouri – or anywhere, for that matter – is money. And in the case of the Show-Me State, it’s not yet clear whether or not sports wagering will bring in enough revenue to make it worth legalizing. 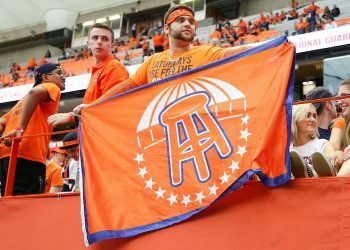 As was pointed out by a casino lobbyist during a Kansas hearing earlier this year, if a state piles on too many taxes and restrictions, as well as a royalty to the pro leagues, then gaming operators may either choose not to offer sports betting or the odds and sportsbook offerings may be less attractive, causing bettors to remain or go offshore, or go to a neighboring state. That said, the current tax rate floating around Missouri for sports betting is 12 percent, which is nearly double the 6.75 percent that sportsbooks pay in Nevada. But Korman doesn’t think that’s enough. He’d like to see sportsbooks pay the same rate that Missouri casinos pay on other games — about 20 percent. But that’s also not a subject Korman thinks lawmakers should consider or try to dictate. 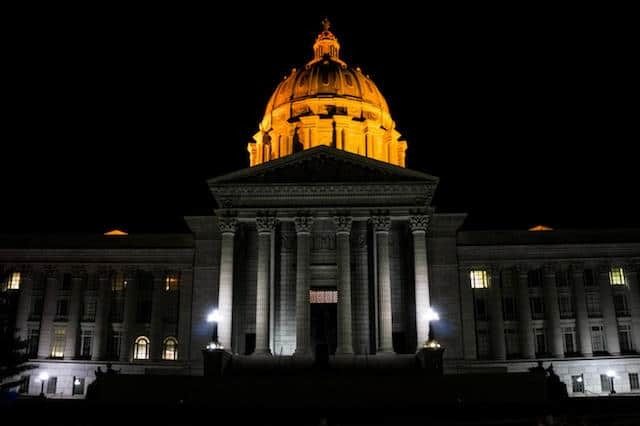 As Missouri continues to wrestle with how to handle sports betting, it can begin to look to other states for guidance. In 2017, Pennsylvania made sports betting legal, albeit with a 34 percent tax rate that could well take many gaming operators out of the game. And in 2018, West Virginia legalized sports betting with a reasonable 10 percent tax rate and without a pro league-friendly royalty or terms conferring the league with data rights. 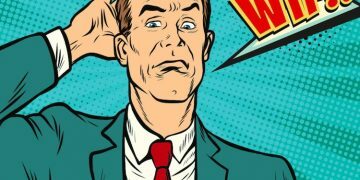 Of course neither state can yet fully implemented their laws, as states are anxiously awaiting the United States Supreme Court decision in Murphy v. NCAA, which may overturn the Professional and Amateur Sports Protection Act, the 1992 law that effectively bans sports betting everywhere but Nevada. A ruling could come as early as Monday. Calling the royalty “outrageous,” Korman acknowledged that the federal ban must be lifted before his state could move forward. But he’s hopeful that even if Missouri isn’t at the forefront in passing a law, it is, at least among the most active players in the game.